The stretch between Elda and Pinoso, the last town in Valencia on the GR 7 had been described as boring and treeless by other hikers. I therefore set out without great expectations and wondering where I would camp. 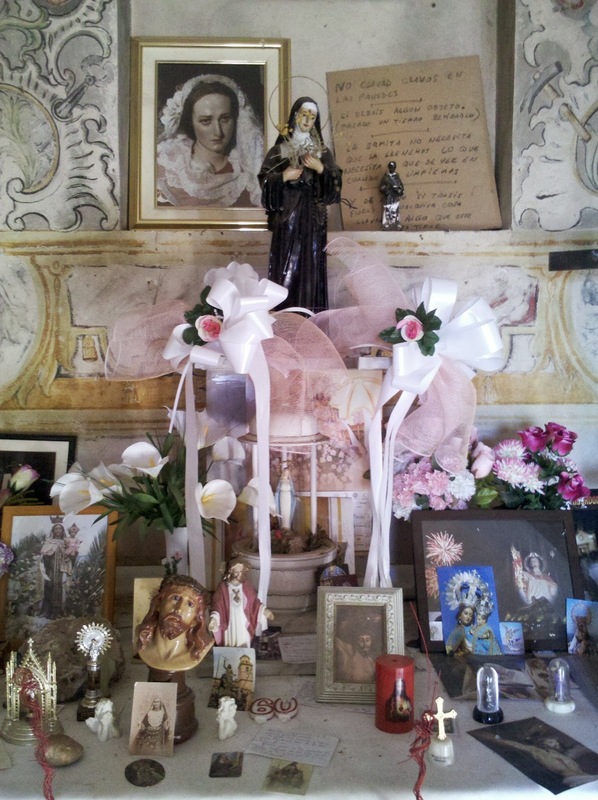 In the outskirts of Elda I passed the huge municipal cemetery and a very active little chapel where people had left little papers with their prayers on. It was warm and I was soon hiking in a shirt only instead of several layers. Although not exactly exciting the trail was not as bad as expected - but I definitely would not want to hike here in summer. There were even some little stretches with trees and that lured me into the wrong decision to make some miles and hike through Pinoso to camp after it. When I left Pinoso with the last daylight I realised what a huge mistake I had made. All I could see in front of me was an endless brown and flat landscape. Nowhere to hide behind - a stealth campers nightmare. To make things worse I was walking on a paved road with occasional traffic and I was extremely conspicuous. I had no other chance but to press on to where I had to turn off onto a dirt road and thank God there were olive trees and terraces there. Not great but better than the great wide open. Then I spotted half a dozen lonely pine trees on the top of the terraces and as I had hoped this spot turned out to be a great camp site. Nice pine duff, some shelter from the tree and great views over the lights of Pinoso. Next day was more of the great wide open. I had now passed from Valencia into Murcia. There was even a border marker. 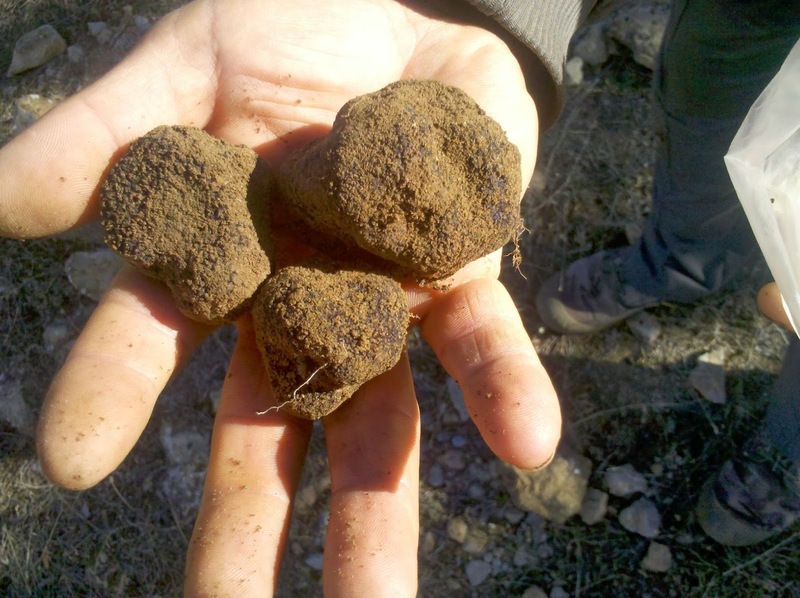 Empty fields, some olive and almond trees and sun scorched, hard baked ground. No shadow whatever. Hiking here in summer must be hell. After passing under another motorway with hardly any traffic I came across the huge fruit plantations. All fenced in, some with netting above to keep the birds out and endless rows of fruit trees. There were few people working there mostly pruning trees. Some nearby houses looked more like a slum than a settlement. I asked for water at one house and learned that it was rain water. The houses were off grid... but all had dozens of dogs which led to a loud barking concert when I passed. The nearby gas station could easily be the setting for a Spanish version of "Deliverance". 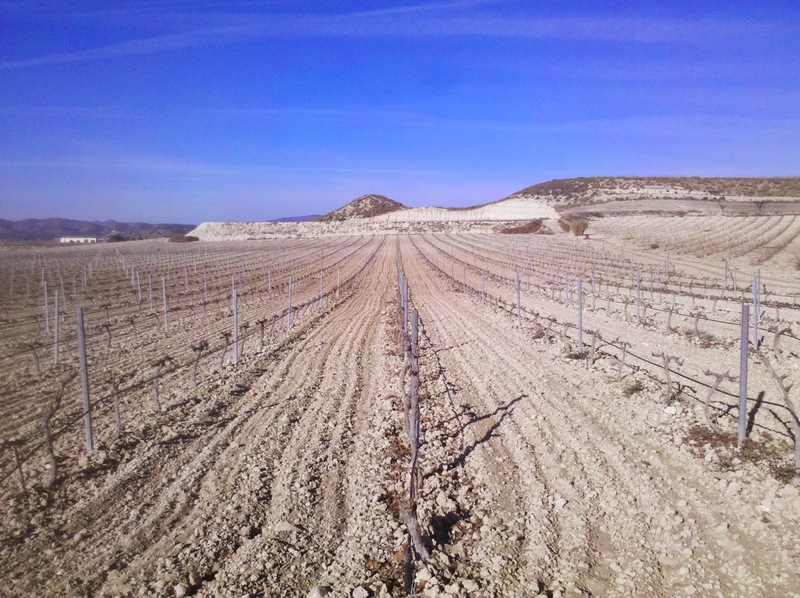 At last I know now where the fruit in German supermarkets comes from: these plantations in Murcia. Luckily the trail climbed out of plantation valley and I could again camp under pine trees - where I was woken up at 10 pm by some late mountain bikers passing by. Next day was Dec 24 and time for my Christmas shopping in Cieza. Hiking into town along 5 km of busy highway was the worst hiking so far in Spain. I passed endless industrial estates and illegal garbage dumps, but I can't really complain as I had hardly had to hike on roads before in this trip in Spain. The weather forecast was pretty miserable. 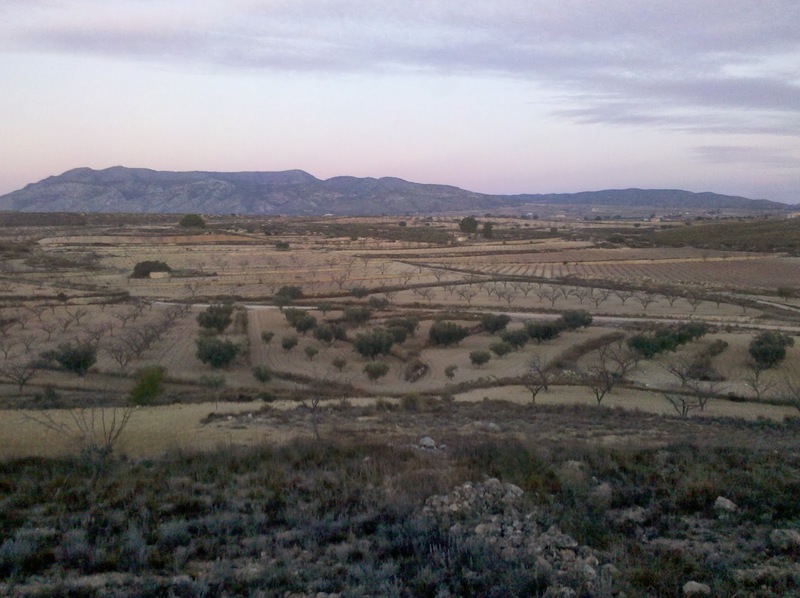 After weeks with no rain the skies had decided to dump water on Spain just on Christmas day. Depending on the region this ranged from a biblical deluge to a simple downpour. 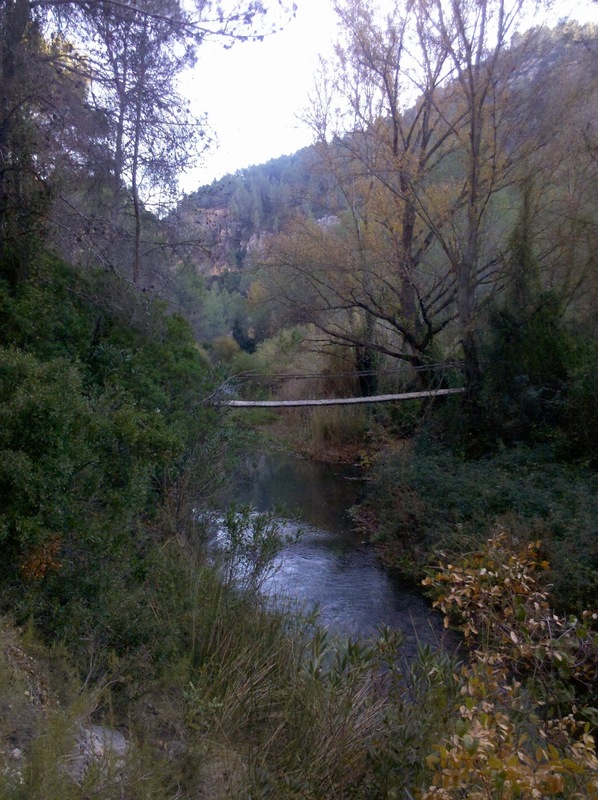 In the region I was hiking in now the forecast was 15 mm of rain whereas Ronda where I would be in three weeks expected 80 mm of rain and gusts up to 90 km/h. I would have happily stayed in a hotel especially since it was Christmas but Cieza had very little accommodation options and all were over 50 € per night. Instead of shelling out 55 € for a hotel I bought an umbrella for 5,95 € and decided to hike on. But after doing my Christmas shopping I still needed water and could not find a water fountain. When I was desperately looking around a plaza a lady in a bathrobe came out of her house to ask me what I was looking for. She must have felt very Christmassy because she not only gave me water but would not let me go before kissing me and trying to give me fruit and sweets. 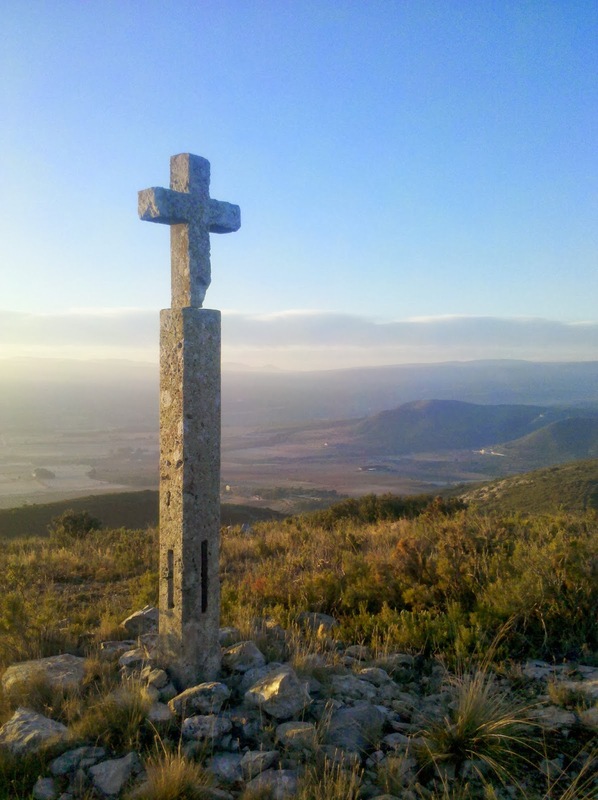 I climbed up to a hilltop overlooking Cieza and decided to hike till sunset. I was rewarded with an incredible sunset colouring the landscape almost surreal. I woke up to a beautiful morning and blue sky and had a great views of Calasparra, the next town en route. As Dec 26 is not a holiday in Spain I could even do some unexpected shopping. 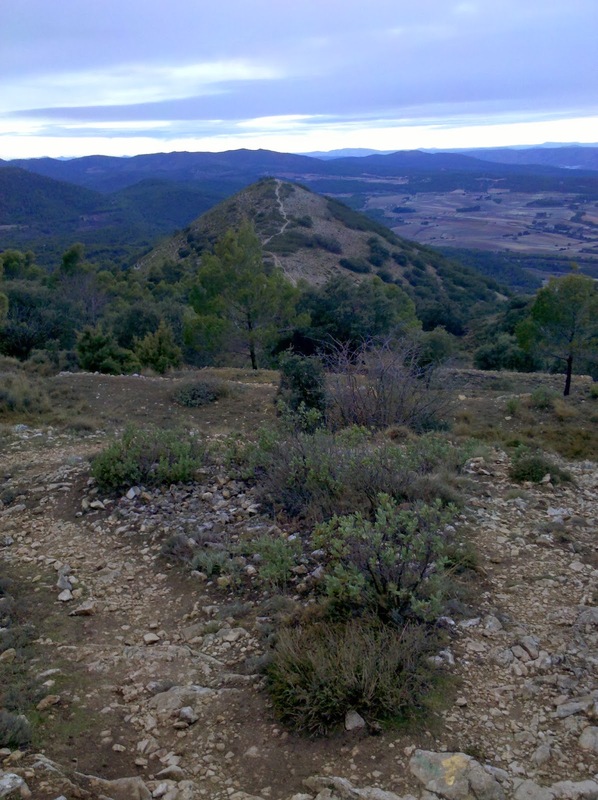 Then onward to Moratalla which marked the end of low land hiking. The low altitude had provided relatively high temperatures. I had been back to hiking in a shirt only and sleeping with less than all layers on. But now I was approaching the Sierra Nevada and was gradually climbing up to 1,500 m, the highest point of the GR 7 in Murcia. In the recent precipitations snow line had been 1,200 m in Southern Spain and I was a bit afraid of snow problems. The GR 7 now follows the River Alharabe and its gorge made for stunning views again. The river actually had some water. After a climb up through lovely pine forest you arrive in top of the altiplano - where it looks almost as flat and desolate as lower down. It is only a lot colder... I was desperate to find some trees now for camping. Instead I ran into an old lady who asked me if I had seen her run away goat. I could not help her. (Actually I could hardly understand her. Maybe she was looking for her husband...) Again with the last rays of daylight I found some trees and spent a relatively warm night despite an altitude of 1,200 m.
Dec 28 seemed to be hunting day. I saw several signs announcing "Danger! Wild Pig hunt in progress!" Despite my neon orange cap I was slightly worried. 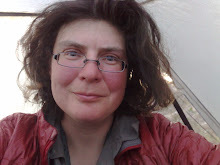 After an entire week with no washing or shower I might resemble more like a wild pig than a hiker... 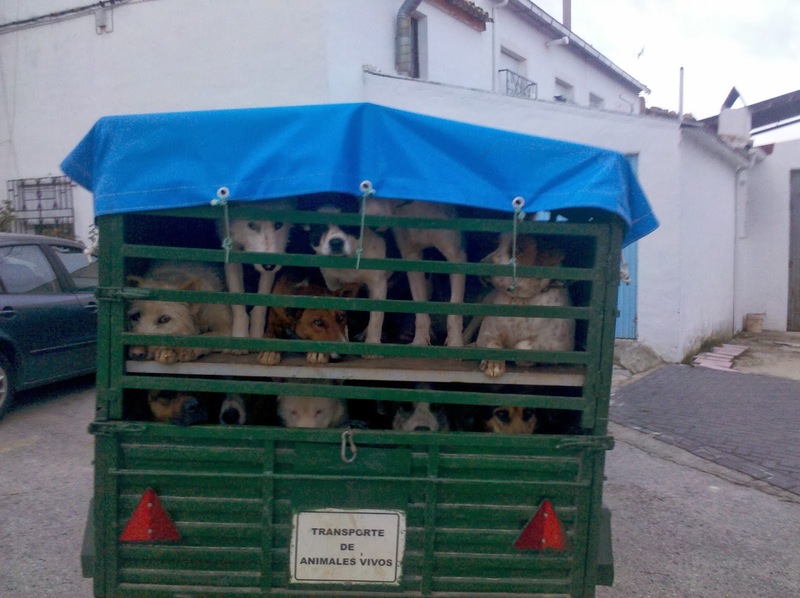 Dozens of cars with trailers for the hunting dogs passed me. There must have been a lot more dogs than wild pigs in the forests this day. I felt pity for the pigs. 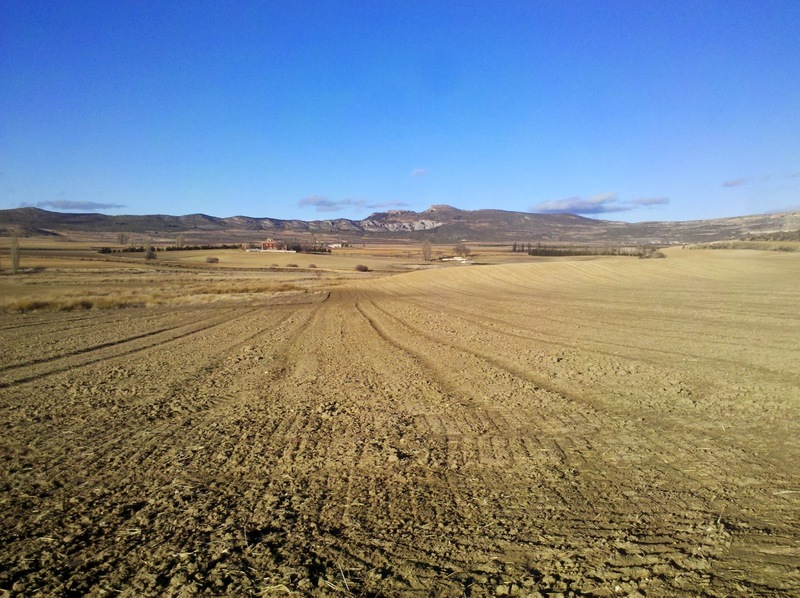 I now approached the 1,500 m point in Murcia and to my great relief there was no snow. There were plenty of snow covered mountains around me but so far no snow on the trail. If there is no major snow fall in the next two weeks I will hopefully be able to make it through the Sierra Nevada without any major problem. Again I decided to push it until sunset before camping and encountered a rare but feared problem. It was nearly dark when I passed a seemingly abandoned farm. Totally out of the blue (or dark in this case) a weird looking guy stepped onto the dirt road and stopped me. He didn't even say hello but just asked where I was going. Of course I didn't tell him that I was looking for a campsite but said I wanted to reach the highway. He seemed to be a farmhand and was probably harmless but I felt threatened by his neglected outfit and toothless unshaven face. He then asked me for a cigarette which struck me even weirder. I left quickly before he could ask for more. I turned around several times to make sure he was not following me and took extra care to find a well hidden far off the trail campsite. I am probably doing him wrong but this was one of the very view occasions in my hiking career when I felt uncomfortable as a single female. 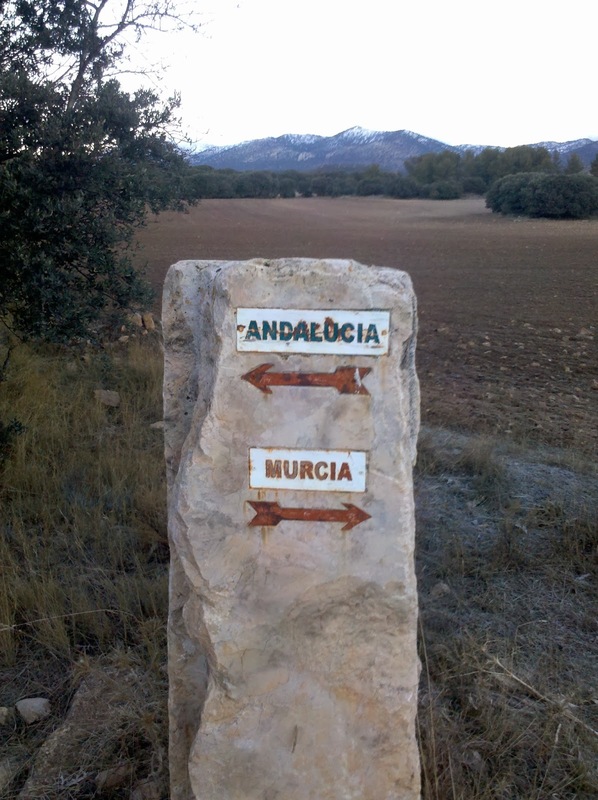 It was freezing cold in the morning when I passed from Murcia into Andalusia, again celebrated by a "border" marker. Strangely enough my GPS track indicated a long road walk whereas the sign posts wanted me to stay in dirt roads. Because I had read in John Hayes' blog that he had to climb another set of deer fences on this route I opted for the road walk which was not too bad because there was little traffic on a Sunday and a little shoulder. And after over a week camping I now wanted to get to my hotel quickly and without any surprises. 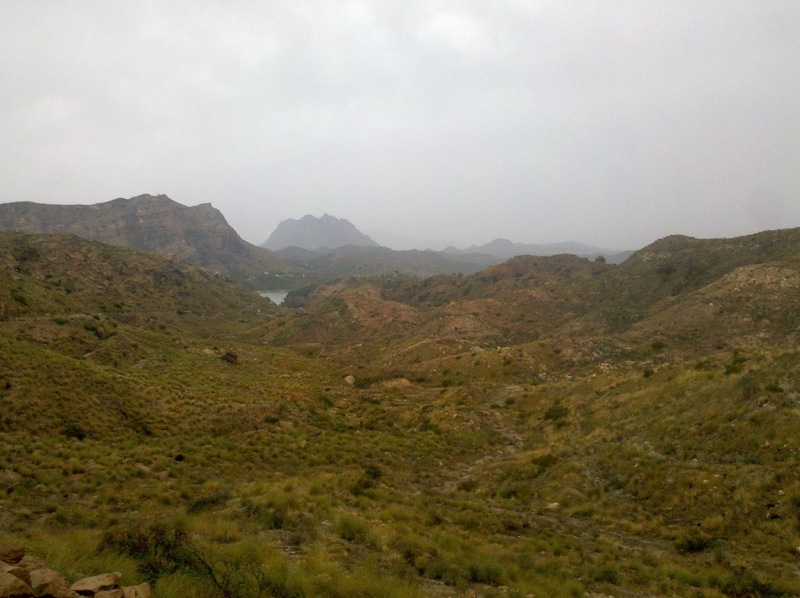 Murcia has not been the most scenic hiking but was still pleasant, especially the warm temperatures. I had progressed much faster here than expected because the terrain is mostly flat and you are hiking on dirt roads instead of overgrown trail. The only thing that slowed me down was that the dirt roads became mud tracks after the Christmas rain. Navigation would have been a problem without my GPS track because there is nowhere to place a blaze or marker in the great wide open. I am now in Puebla de Don Fadrique in the cheapest hotel so far. 20 € gets you a nice ensuite room with wifi. I am just resting as I will already leave tomorrow. 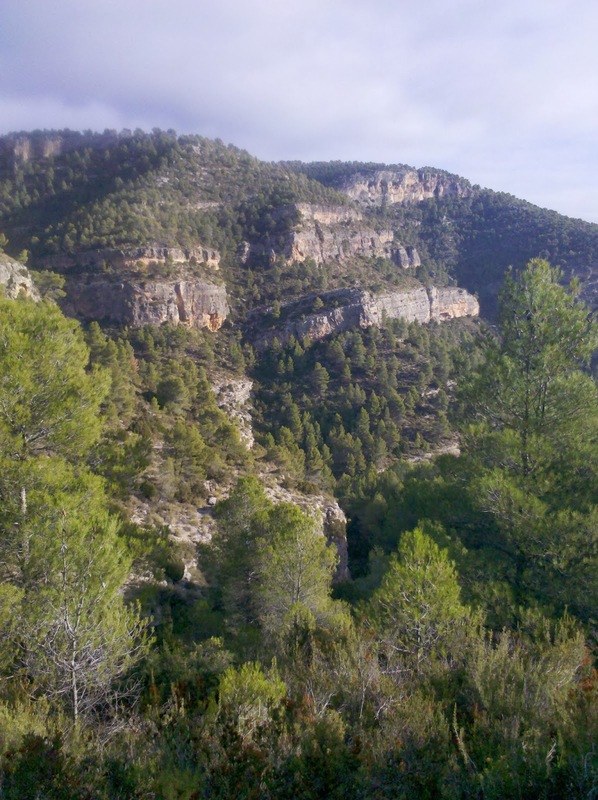 I want to spend the New Year gumbo deep in the Cazorla National Park in my tent and not be disturbed by fireworks and drunken people. The GR 7 splits soon into a Northern and Southern variant. I will hike the Northern variant because it is lower and hopefully snow free. A happy new year to you all! Bocairent did not look very enticing at first. I walked down a burnt ridge and saw ugly industrial estates. That should be the national heritage Bocairent? 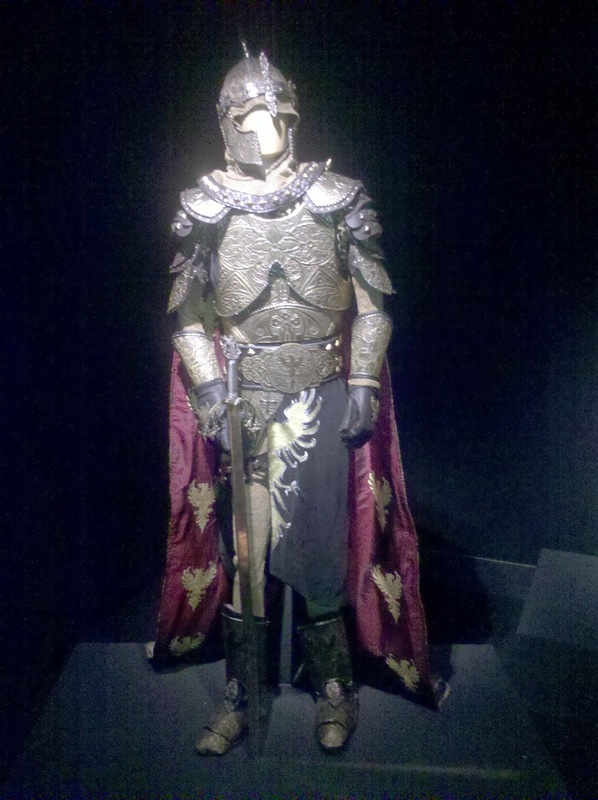 But as soon as I entered the old mediaeval part I was fascinated. Bocairent has a very well preserved old centre with narrow streets and century-old houses - one of which was my hostal! It had been difficult at first to find accommodation in Bocairent. There are several hotels but all very expensive. No hostal that are usually much cheaper. Luckily I found Casa Baretta on the internet that not only rents holiday apartments but also rooms. 30 € bought me a fantastic room including fake chandelier in an old nobility house right in the centre of town. Even the heating was ok. The owners were incredibly friendly especially after I had identified myself as a hiker. The landlord even volunteered to bring me a new gas canister from his next shopping trip into town. After two nights in my stately room I was off the Alcoy and another hostal. 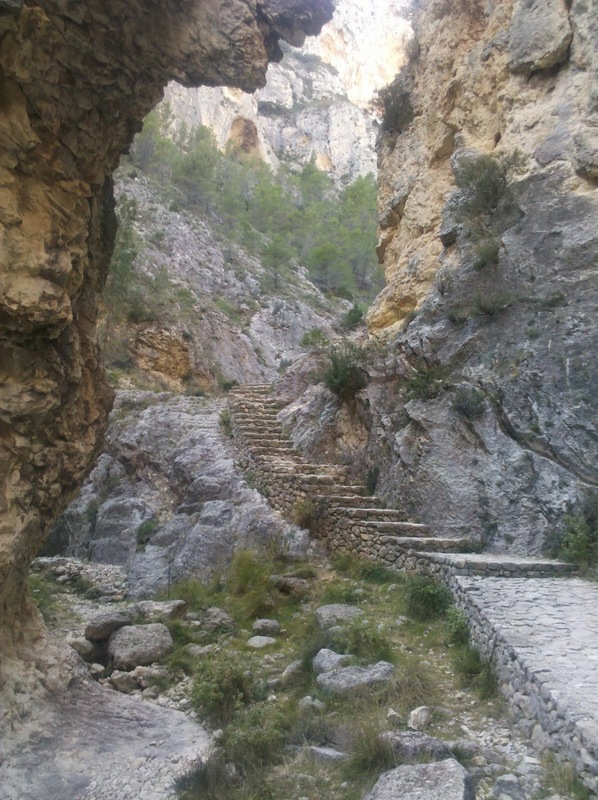 The walk between the two towns looked rather uninteresting, especially since I decided to skip the climb up Montcabrer, but I ended up on a fantastic trail down a gorge into Alcoy. I did not need another hotel stay but Alcoy was the biggest town in the near future and I had to do some shopping. Mainly I wanted to go to Decathlon and buy long johns and socks for cold weather. According to the tourist office there was a bus going there but I would have to walk a bit. There was a bus but it stopped only 2 km after Decathlon and the walk was along a major highway with no sidewalk - in the dark. I did not want to kill myself and luckily found another sports shop in a nearby shopping complex. Now winter can come - I am equipped with long johns now. 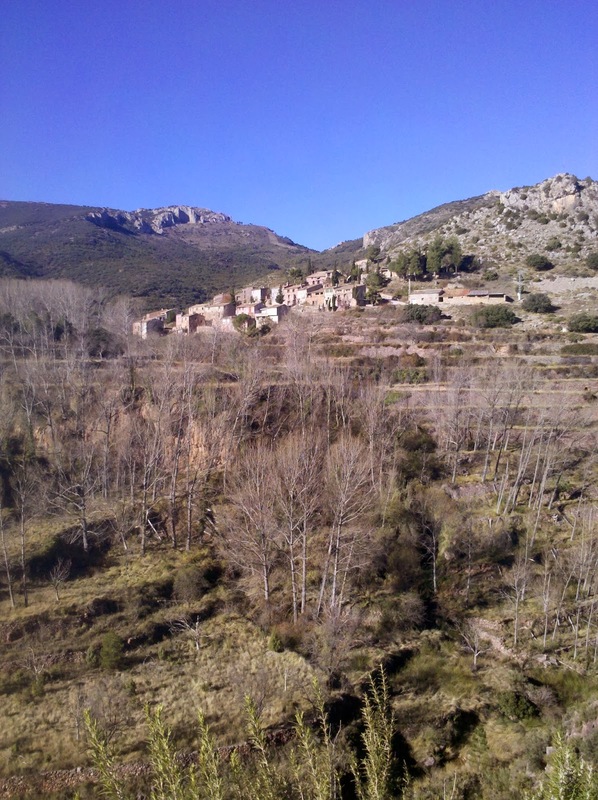 Like almost every town I stayed in along the GR 7 Alcoy also had its little gem. It is the fiesta town and even has a fiesta museum. Next fiesta on the town agenda was Los Tres Reyes and there even is a Christmas museum. In Alcoy it is not Santa Claus who brings the presents, but a page of the three kings who climbs up a ladder and hands over the presents. Therefore you see black puppets climbing up balconies all over town. My Hostal Savoy was the most expensive so far for 33 € and although it had fabulous heating wifi did not work. Four hostal stays in a row seemed a bit extravagent, too and so I decided to leave town midday despite the bad weather forecast. This turned out to be the first of two bad decisions. It started to rain badly as soon as I started hiking. After a long road walk to get back on trail it was a long and steep way uphill. I was soon wet from outside and inside. I passed a very nice cave which was even big enough for my tent but I made bad decision number two and passed it. I had still one hour of daylight left and was also worried that the cave might flood. 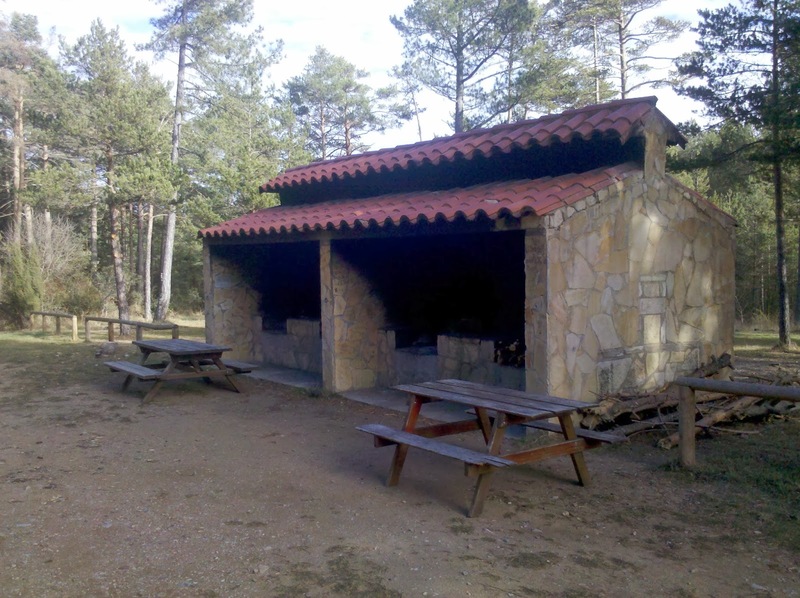 My goal was to reach the nature centre of the National Park Font Roja where I hoped to find some shelter in the various picnic areas. But when I got there shortly before sunset I was disappointed. The visitor centre was huge and still several cars parked there. There was even a restaurant close by - so no way I would be able to hide there. Grudgingly I walked on and could not find a decent camp site. I finally ended up in the bushes on a slope which had the bad effect that I could not set up my tent properly and had to fight the rain dripping in. In the middle of the night one tent stake came off from the wind and I had to get out - of course getting very wet in the process. Condensation was horrible and even my quilt got soaking wet just from my breathing. I was thoroughly pissed with myself for leaving the comfy hostal. But things improved in the morning when the rain stopped and I enjoyed the National Park and its views - unfortunately in a glacially cold wind. Luckily the next night was under pine trees and much more comfortably. Although I wondered why the whole pine forest was "cleaned". 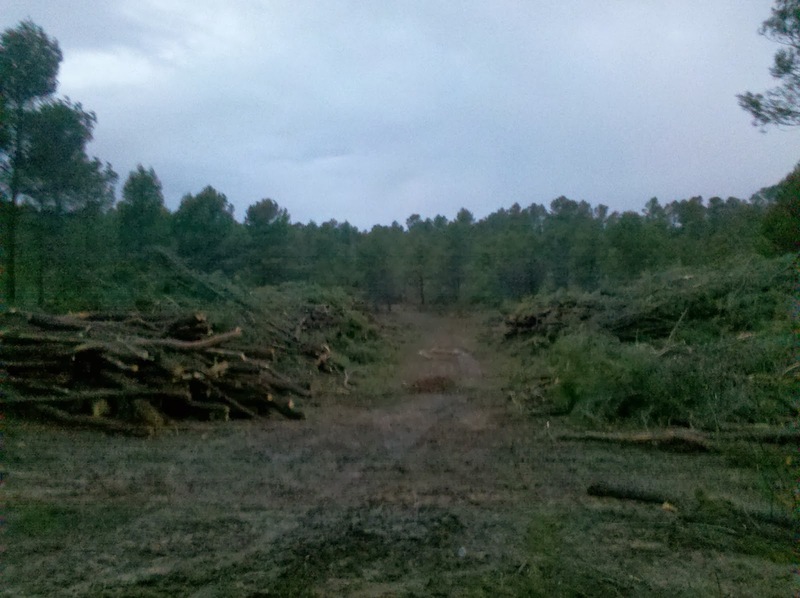 All under growth and several trees were cut and the ground almost bulldozed over. 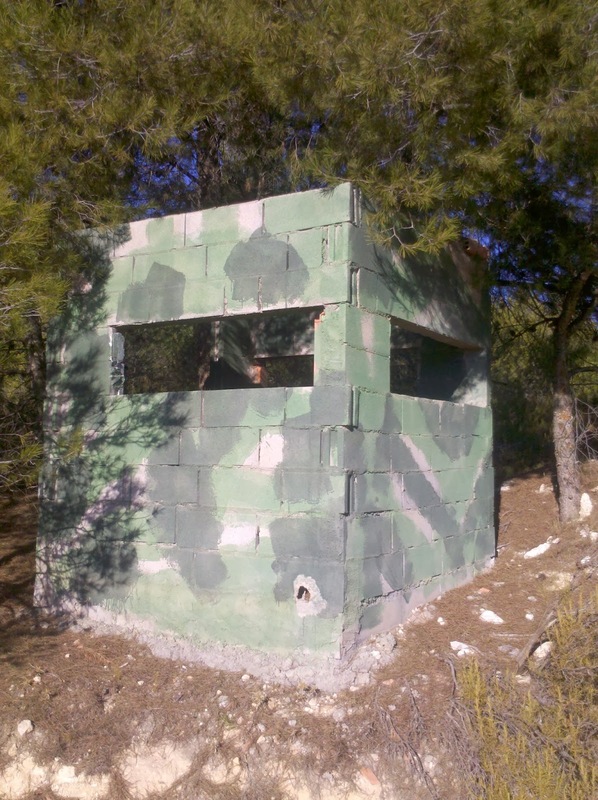 I later learned from a ranger that this was the Spanish way of reducing fire danger. The cut down trees were not even sold because their quality was so low. I was now coming into Elda, the last big town in Valencia before entering Murcia. Christmas is coming and I have to coordinate my hiking carefully now with supermarket opening times and hotel availibility. So here I am at another Hostal Garrizo which for 25 € has ok heating and fast wifi. This is my last bed for a week. I want to avoid Christmas and will hike through all the holidays. Unfortunately the weather forecast is bad for Christmas day which I will probably spend in a deluge... I therefore fortified myself with shopping at Lidl. Elda also has its little gem - in this case a shoe museum. As you will have guessed shoe production is the traditional industry in Elda. I was the only visitor in the huge museum which boasts lots of tools and machines but also thousands of shoes. Historic shoes, designer shoes, celibrity shoes, sports shoes, miniature shoes, shoe paintings, shoe statues - everything about shoes. 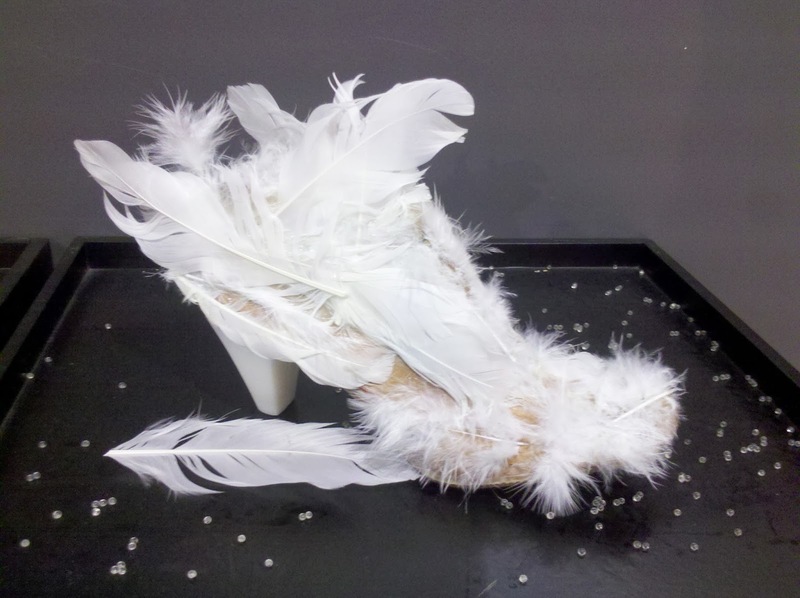 I loved the shoe exhibition although I would never want to wear these uncomfortable things. 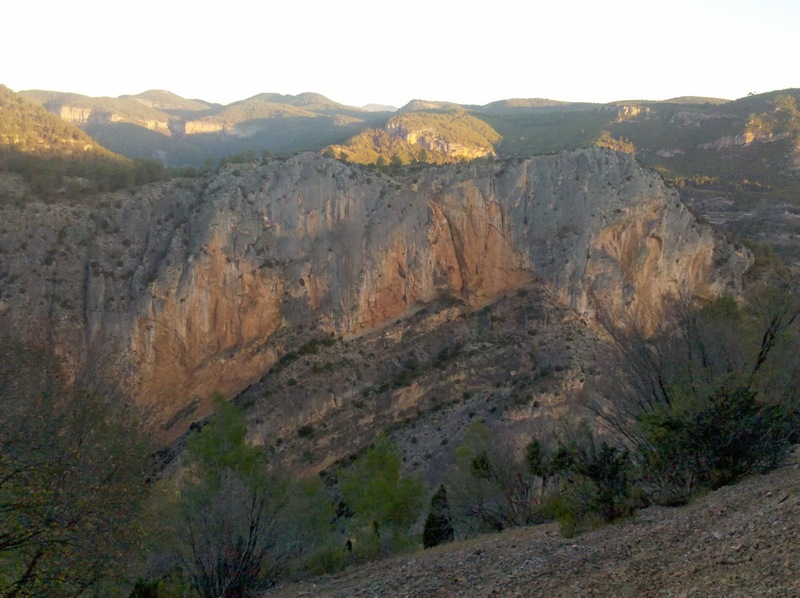 Tomorrow I am off again for a week long hike throught the province of Murcia. Next rest stop will already be in Andalucia, Puebla de Don Fadrique. A merry Christmas to all of you! Next important stop was Cortes de Pallas where I had to resupply. In order to get there it was twice up a sierra, down into a valley and up a sierra again. I made good progress mainly because I could not find a decent campsite when it was getting dark and had to walk into the night with my headlamp. I admit I am a bit choosy when it comes to campsites but condensation that freezes over overnight is a big problem right now. So whenever possible I look for tree cover, preferably pine trees that provide soft duff. Another great help are the man made terraces (mostly abandoned now) that provide flat areas. When I camped on top of the plateau before Cortes de Pallas under a lone pine tree I thought I had an easy walk into town next day - I just had to descend from the plateau into the valley with its huge reservoir. But you never know what you get on the GR 7. First there was no trail any more where it should have been according to my GPS track. I searched around and finally discovered some red and white blazes nearby that disappeared on a rock precipice. I searched around to find a trail down - but nothing. As going down the precipice and then follow a creek bed was the most natural way down from the plateau I finally threw down my poles and backpack and climbed down. And for sure soon the waymarking picked up again but ended in a bushwhack from hell. Although well marked the trail had not been maintained for decades and was almost completely overgrown. 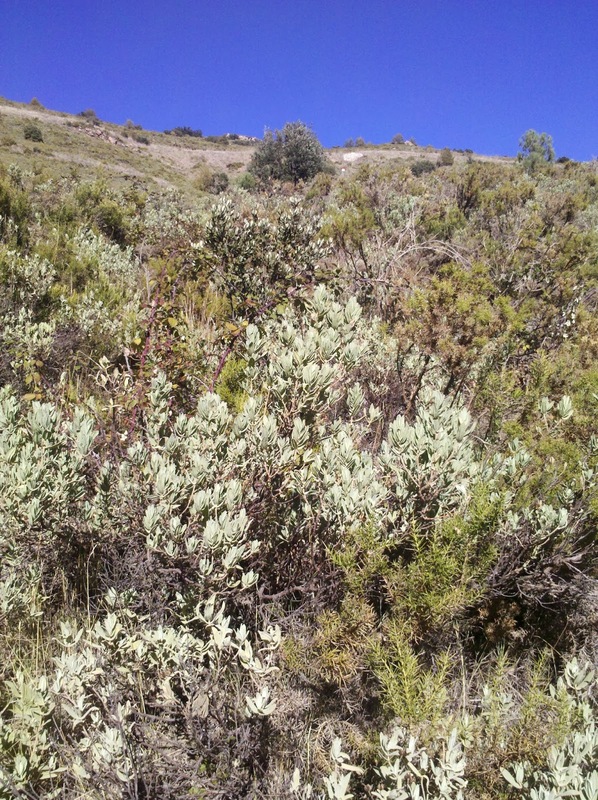 I had just recently discovered a nasty Spanish specialty: One species of shrub has needless that not only scratch you, but the tip of the needle breaks of and gets stuck in your skin. I had been wondering why the scratches take so long to heal. The reason is that the scratch festers in order to get the little to out. Once I discovered that I squeezed it out and the scratches heal quickly. The trail down the plateau offers fantastic views and it is a shame that it is not maintained better. Once in the valley it is quite a long road walk into town and I arrived just before the little shop was closing. As was to be expected the resupply choices were limited. In fact it was so bad that I had to buy chocolate of such bad quality that I could not bring myself to eat it later. Due to the reservoir there are plenty of energy companies and their workers in the area and therefore there are several bars and rooms to let in town, quite surprising for such a small village. But I hiked on dreading another bushwhack from hell as the trail was routed where my map showed nothing. But surprise, surprise: the trail had recently been maintained and offered superb walking with an impressive mesa on one side and the reservoir on the other. 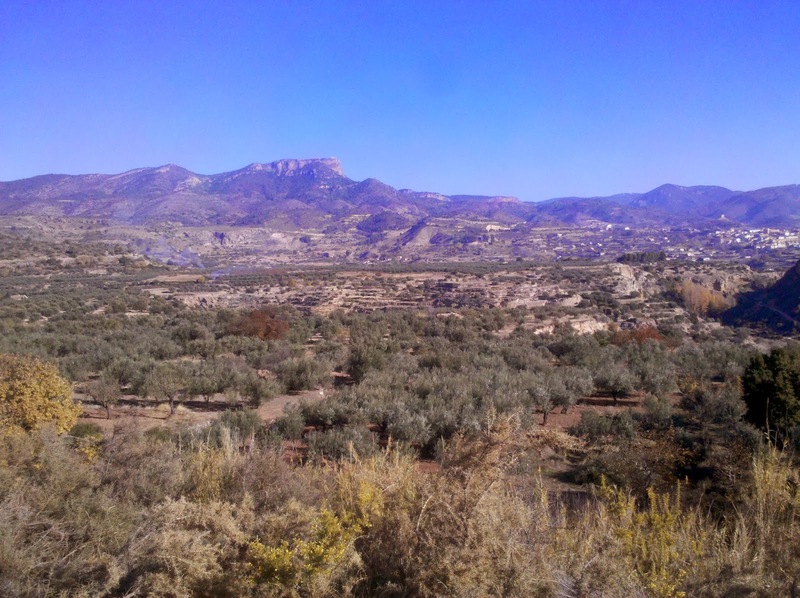 I passed several great camping areas and entered agricultural land with olive trees everywhere. Now when I needed a good campsite the ground was rocky and hard. But there was a full moon and I just hiked on until I found a lone pine tree. The morning was so cold that the water from a nearby spring seemed to be lukewarm. But although very cold most mornings here are incredibly beautiful in an almost surreal way because of the clear sky, intense light and morning mist. Today's goal was the Mt Caroche which was easily reached via wide forest roads. Here I met a game warden of this public hunting reserve whom I quizzed for almost half an hour. From him I learnt about the private hunting reserve close to Chera and about trail maintenance. You have to do trail maintenance only every 5 years and it now seems to be even more of a shame how neglected some trail portions are. The area up to Caroche was all scrub with no trees and I started to worry about camping that night. Luckily the descent was more wooded and I was looking forward to a nice soft campsite under a pine tree when I saw a sign about forest work. Forest workers had cut down all the lower branches of the pine trees and left them where they had fallen creating a huge mess on the ground. No way I could find a camp site here. Luckily I was on a good forest road and I decided to hike on until the end of the forest work where I immediately found a nice sheltered site under a pine tree. This was my last night camping out before Bocairent and a bed. I had been hiking and camping over a week without stop which is almost too long in these cold conditions. I was longing for a bed and central heating. This last night was also the hardest as the Sierra was high and shrub only. It was difficult to find a campsite and it was completely in the open. So first I had heavy condensation and then it froze completely over. It is hard to get up and hike at sunrise under these conditions. After shaking and rolling up the tent I could shake off a big pile of snow: frozen over condensation.... The morning was cold but again incredibly beautiful with views down into the valley. 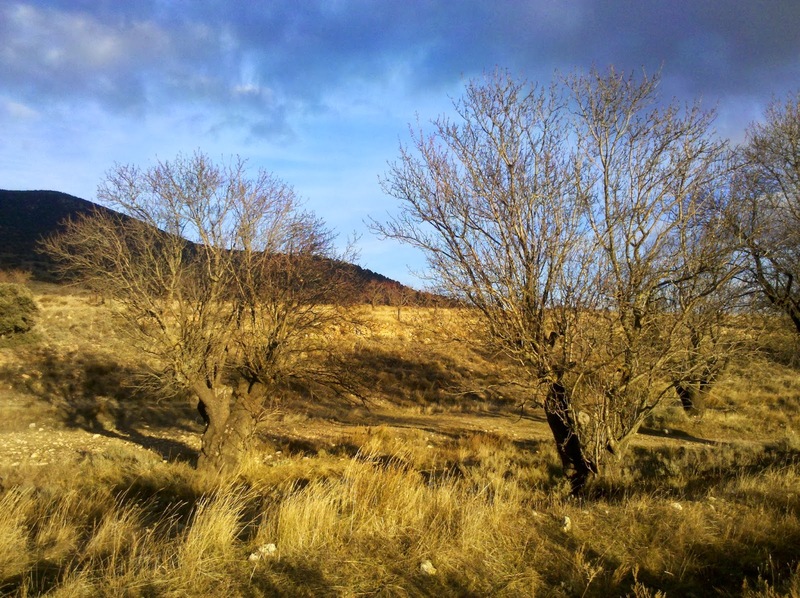 20 km left to Bocairent which I passed through another hunting area with plenty of "Enter at own risk" signs.. And finally on a cold and overcast day I arrived in long awaited Bocairent, bought some food in the supermarket and collapsed in my room. Chelva is a nice but not very exciting or interesting town. Luckily I had a nice room with excellent heating and therefore spent most of my time in my room preparing the rest of this trip including booking my flight back to Berlin. Chelva was much smaller then expected and even the choice in the local Consum supermarket was somewhat limited. I had a stretch of one week without resupply ahead: limited food choices here, no space in my backpack and little gas left for my stove made this almost impossible. 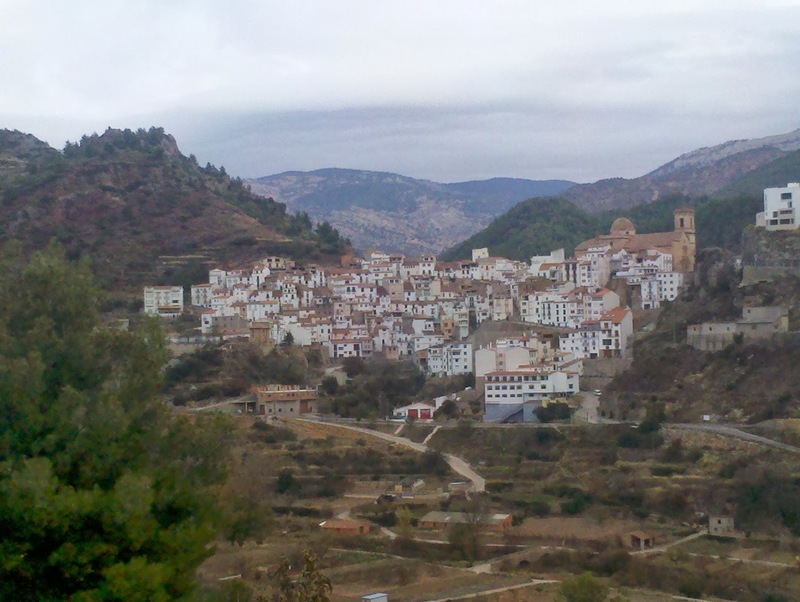 But after some research I discovered that the little town of Cortes de Pallas in the middle of that stretch had a supermarket. Very relieved I now had to buy food for only four days. 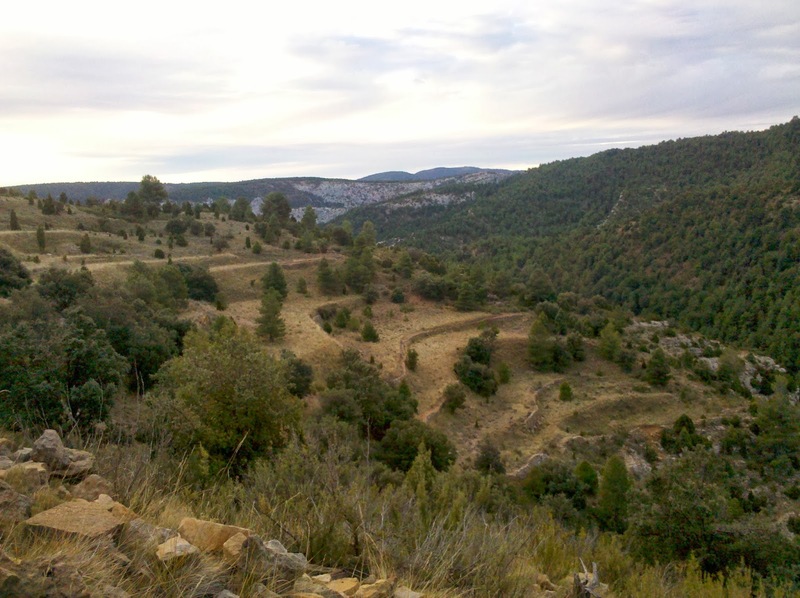 The first two days out of Chelva were the usual up a sierra, down into a river valley and up a sierra again. But I must say that the river Turia gorge was especially dramatic and even featured a water fall, a rare sight in dry Southern Spain. Then at the end of day two a long awaited and feared problem arose. I had read on John Hayes' blog and also heard from a German hiker friend that a huge fence blocks the GR 7 in this section. I had faintly hoped that the problem would have been solved by now but no: the GR markings suddenly petered out and then I stood in front of a looked gate and high fence. I even walked back to see whether I had missed the trail going somewhere else, but no: according to map, GPS track and blazes I was on trail. It was already late and I camped outside the fence to tackle the problem the next morning. The whole thing worried me so much that I got only little sleep - and made the first mistake already when leaving. Instead of climbing the gate here where it was easy to get over I hoped to be able to go around the fenced in property. I found a good dirt road leading down into the valley - and soon stood in front of the same fence again, this time with signs warning me of dogs and 24 h camera surveillance. I still did not give up hope to get around the damn thing and descended into the river valley itself - and ended up in a bushwhack from hell. I even forded the knee deep Reatillo River which resulted in wet shoes and socks - and still only ended in front of the same fence. There was no way around it: I had to somehow get across that fence but unfortunately now there was no gate in sight and I was afraid to tackle the fence itself. It is 2 m high, with metal mesh and wooden poles every 6 m. But would the fence support my weight? The steel mesh was sagging under my weight and I was scared to climb up it. (Also Grace and Elegance are not my middle names either....) Also this was a very professional fence and the lower part was doubled over so squeezing through underneath the fence was not an option either. By now I was desperate and shaking from cold and wet feet. Then I discovered that a little bottom section of the fence had been damaged but repaired with steel wires and wood. I removed the repair material and created a hole. Although it looked tiny I was able to squeeze myself and later my backpack through. Now I was in - but how would I get out again? The fence belonged to a big private hunting reserve and created one huge deer high security prison. Inside there were hunting blinds everywhere and plenty of animal tracks, but luckily I did not see any hunters. I was not sure whether I was actually trespassing or not but tried to avoid people. 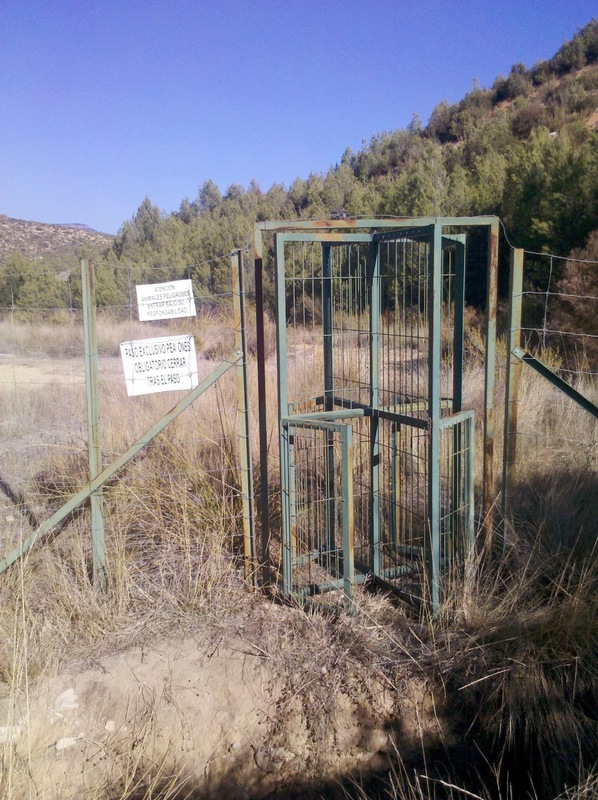 It was a long walk through the estate and I hoped to find a gate where one dirt road emerged onto the road between Chera and Requena. No such luck - only insurmountable fence. I bushwhacked towards the main entrance and even saw a car coming in when I got closer. Should I make myself known and get through the open gate? As I did not know what the legal situation was I hid myself until the car was gone and regretted it almost immediately. The main gate was almost 3 m high and had spikes on top. But closer inspection revealed that it was not as difficult as I thought. The gate had a metal cross bar to climb up and the spikes were so far apart that I could get through between them. 5 minutes later I was back in freedom and wanted to breathe a sigh of relief - when I saw the same deer fence on the other side of the road as well. I was about to cry. The adventure had already cost me half a day and I could not stand it any more. But things were not as bad as they looked. I had not intended to join the GR 7 again now but wanted to continue on a shorter lower route. And right were I was now I discovered turnstiles leading into the fenced in compound next to the dry Reatillo. The signs said "Enter at your own risk" and "Pedestrians only". I squeezed through the turnstile and a short bushwhack brought me to the dirt road I was looking for. After about 3 km another nice surprise: Another turnstile let me out again. I eventually sat down to have a very late lunch and relax. Another 2 easy km brought me back onto the GR 7 and then finally into little El Rebollar next to the motorway. 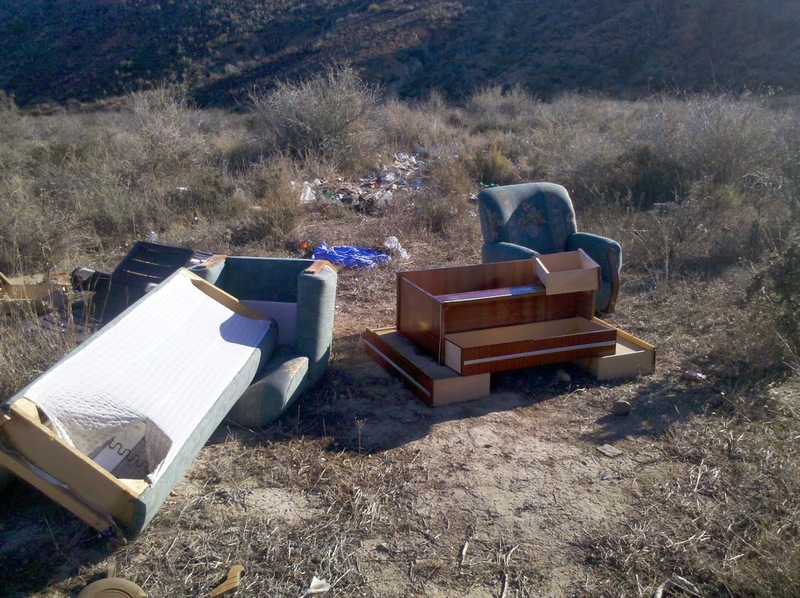 A couple of days later I met a ranger in a public hunting reserve and asked him about this situation. He explained that the problem has been in the media for several years now. This posh private hunting reserve is blocking the whole valley and the local population has been complaining for years - but the local government has been unwilling or unable to come up with a solution. I think that the whole situation is a disgrace for the government of Valencia. On the one hand they are promoting and funding the GR 7 with pamphlets and signboards, but when some private company blocks this fancy trail they are not doing anything for three years! No pedestrian gates, no diversion, not even a warning on their websites and brochures. My stay in the lovely hotel in Ares was the best so far on this trip. The two young owners bent over backwards to make my short stay pleasant and I ate the best potaje (sort of stew or soup) ever in their restaurant. Alas I had to leave early next morning - in light snow and freezing temperatures. But I promise this is the end of weather complaints for a while because the weather has improved drastically and the forecast is good. The landscape remained quite spectacular the whole stretch. Like Morella Ares is an old hilltop city with seemingly endless terraces around it. I was soon wondering why there were some oranges on the dirt road. This was far too high for orange trees and far too many oranges to be leftovers from other hikers. 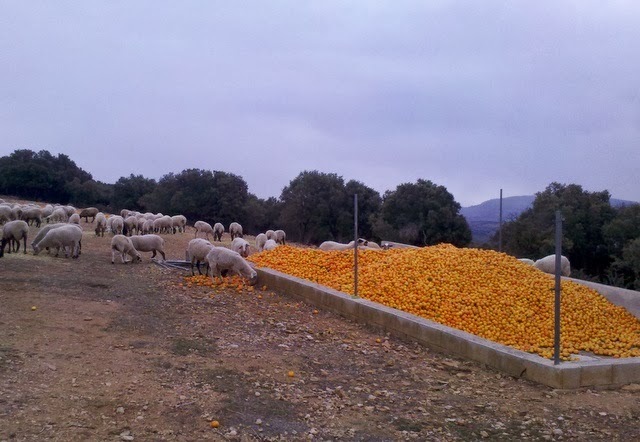 I soon found the solution: farmers feed the bad oranges to their sheep (which seemed to enjoy their vitamin rich food). At the end of the day I was to dip down into another beautiful valley - and then of course to climb up again. Unfortunately I was a bit short on water when I came across the ruins of a farm on a ridge. No farm without water but there was no stream or spring. 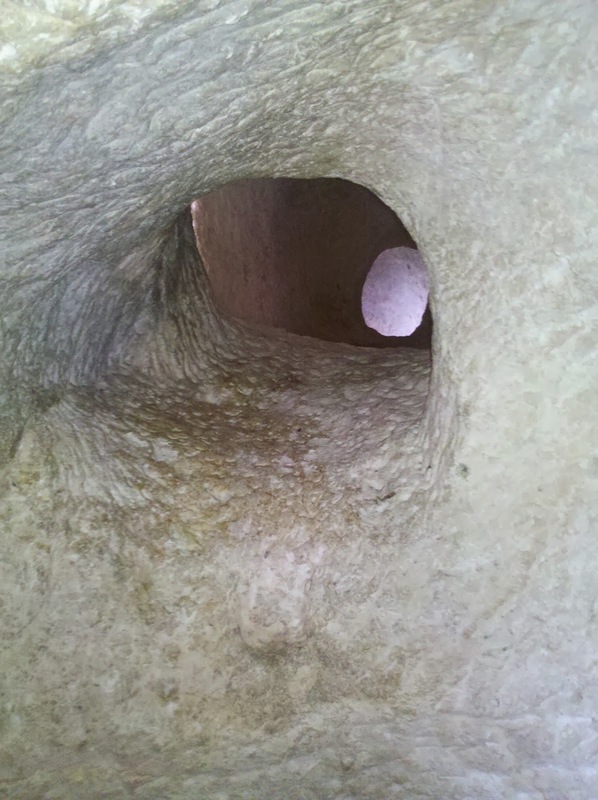 But I found what looked like a cistern and it was still full of water. Someone had a plastic bucket attached to some rope and carefully I could lift up the container. The water was surprisingly clear but I nevertheless treated it because there was God knows what floating in the cistern. Descending into the valley I encountered a rare sight: other hikers. We stopped to chat and I got a lot of news. They came from the town of my next resupply, Montanejos. They confirmed that there is a supermarket, but it is of course closed midday and only reopens at 5:30 pm - which is sunset now. Even more surprisingly it turned out that they were renting out rooms in town for 15 €. With their phone number I was now ready for all eventualities. 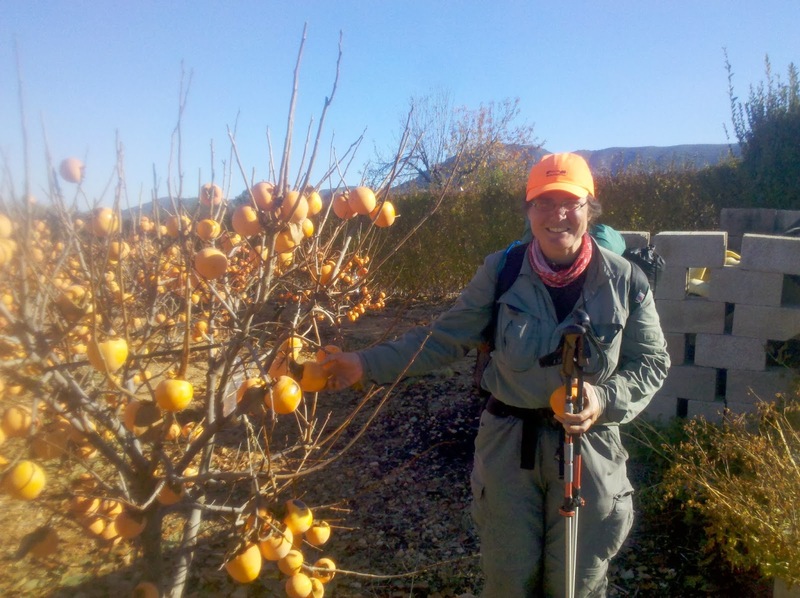 No matter when I arrived in Montanejos I would find food and accommodation. I hiked until it got pitch dark but found a nice and cosy campsite underneath pine trees. I urgently needed to catch up on sleep as I never sleep well in hotels. St. Juan de Penysgolosa is yet another monastery but it comes with a nearby free campground and an information centre. It was too early to camp and the water was turned off anyways so I hiked on. The trail now drops down 500 m to Villahermosa del Rio but what I had not seen on the map is that it follows a dramatic river gorge into the valley. It was a pity that it was getting dark and I could not really appreciate the scenery. Just before sunset I came across another person. I was surprised to see another hiker so late in the day but despite a big backpack this man was not a hiker but the inhabitant of one of the "Masias" or farmhouses coming back from a shopping trip. For him it is 2,5 h into town and almost 3 h going home. He didn't mind walking in the dark as he knew the way like the back of his hand. I was now coming to Montanejos, my next resupply stop. Of course it was already late in the day but the supermarket only reopened at 5.30 pm.anyways. 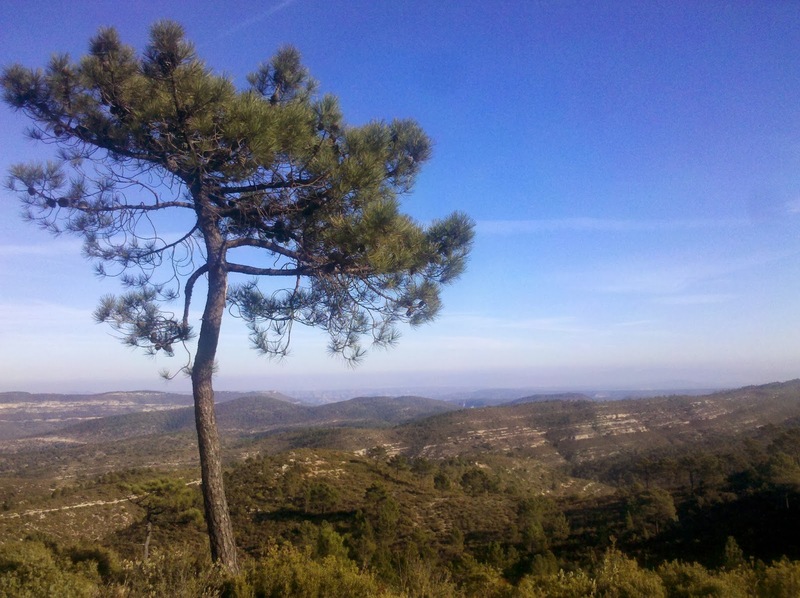 The weather was so good that I did not want to stay in town despite the tempting 15 € offer from my trail acquaintances. Montanejos is a spa town but I had not realised that there are free open air hot springs. Just as you enter town I saw the sign "Hot Springs 25 degrees" and had to take a look. 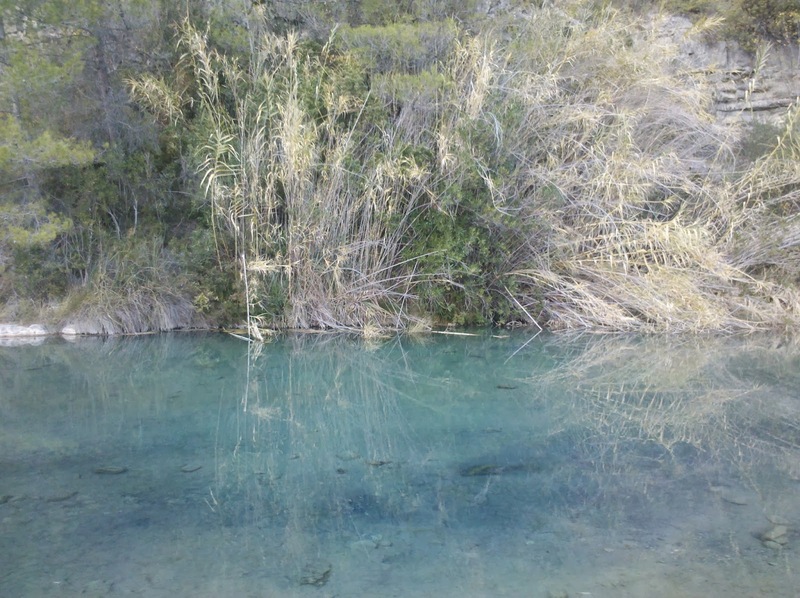 And for sure: the river water was pleasantly warm and almost turquoise. A beautiful spot and I was tempted to jump in. But the air temperature was close to 0° degrees, I did not have a towel or a swumsuit and I had no clue how many suitors I would attract by skinnydipping. You soon drop down again and the descend was a bushwhacking nightmare. First I could not see any trail. Only a tiny cairn indicated something. There must have been some sort of trail 5 years ago but it has not been maintained ever since. This is a very steep slope and I was basically bushwhacking through waist-high blackberry bushes and other prickly stuff. (My legs still looked horrible three days later...). You finally end up in a dry creek bed which was at least marginally better before another reroute takes you up again - and down to the train station of Bejis where you can follow a flat and nice rail trail. Heaven and hell are close together on the GR 7. 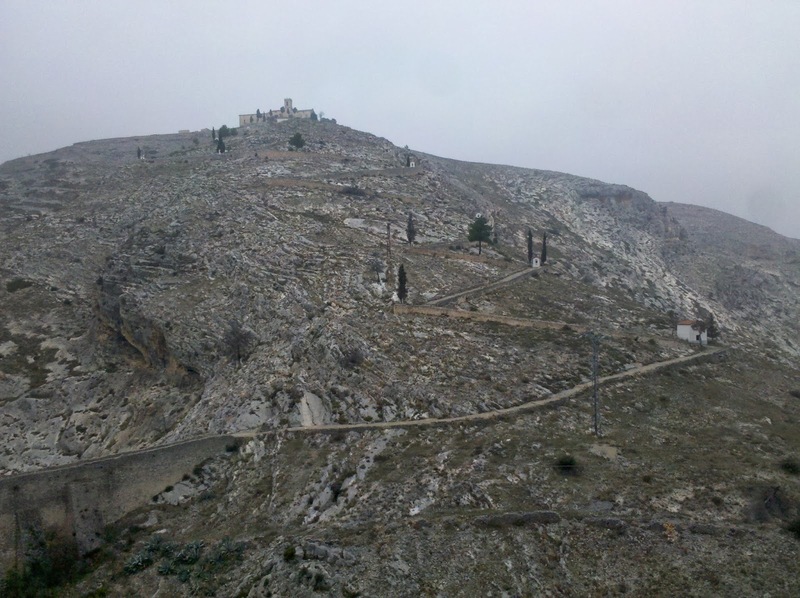 The climb up to Bejis is another lunatic GR 7 attempt to get the trail off the road. Instead of following the road the GR 7 climbs up a totally overgrown hill where I got stuck again in blackberry bushes. A stretch of 500 m took me almost an hour because I got so stuck I could not even turn around and just go back to the road. After that I was so fed up that I roadwalked to the next little village instead of taking the trail - I could not take any more bad surprises. 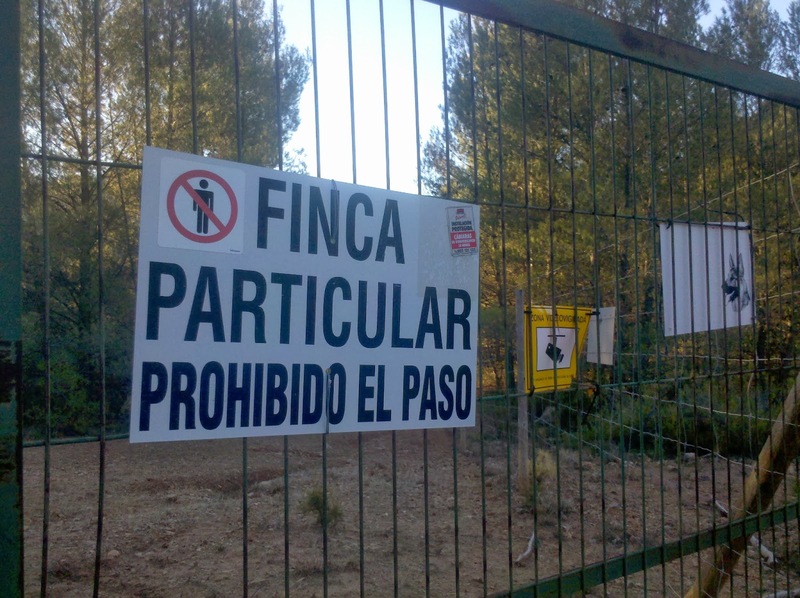 The next obstacle was the hiker's most deadly enemy in Spain: a new wind farm. These wind parks spring up everywhere and their access roads destroy all old trail marks or treads. Usually a wind farm means you are going to get lost for sure and this one was no exception. First of all the trail deviated from my GPS track and started to bushwhack up a hill in order to avoid the wind farm access roads. Unknown trail reroutes are worst when you encounter them shortly before dark when you need a campsite soon. I had no clue where the new trail would take me and the ground was totally rocky and steep. I hiked faster and tried to escape the noisy wind turbines, but to no avail - there were dozens of them. Finally the trail emerged onto an access road and then all trail marking disappeared. It was dark now, no campsite in sight and I could just try to head in the right direction with the help of my GPS. Luckily I passed an old abandoned settlement and that meant flat ground on terraces. In the end I found quite a good pine duff campsite with only one drawback: the wind farm's logistic centre was only a couple of hundred metres away. The whole night long patrol cars were coming and going but at least the night was almost wind still so that the wind mills were mostly silent. The whole area was dotted with ripped off plastic from the wings which did not induce much confidence into the safety of wind farms. I was now ready for a rest day and another day's walk brought me eventually to Chelva and its Hotel La Posada. I seem to be the only guest... But the heating is working, there is a good restaurant next door and a supermarket in town. A good place to plan the rest of this trip and my return to Germany in 7 weeks.